At first sight this sculpture seems mysterious and requires some explanation; that with a simple movement it unfolds into a dining table for ten and ten dining chairs. 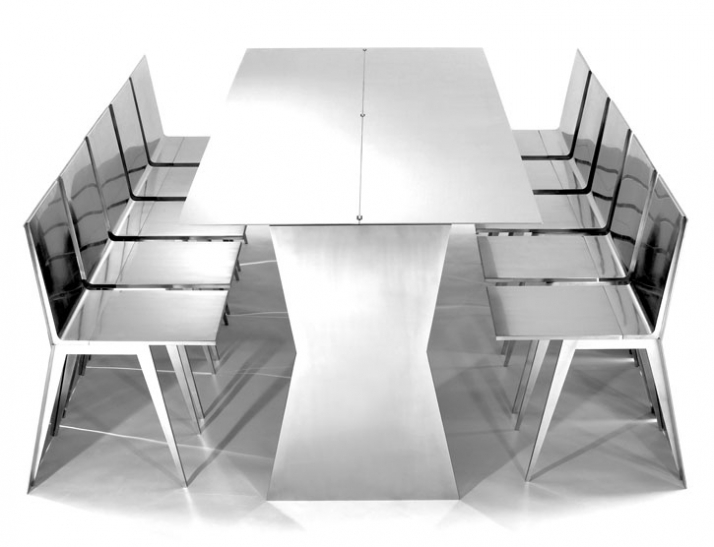 The intent for this design was to jettison the straitlaced appearance of a dining ensemble and the want for space i.e. the archaic requirement for a dining room. 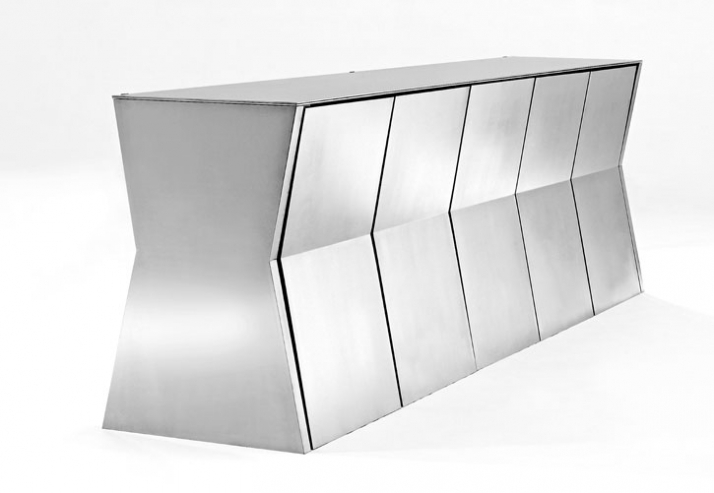 The monolith is made entirely from sheet stainless steel. The table- top is attached to the base and lies on a bed of rollers. A custom-made hinge connects two plates that open out to a full sized table. 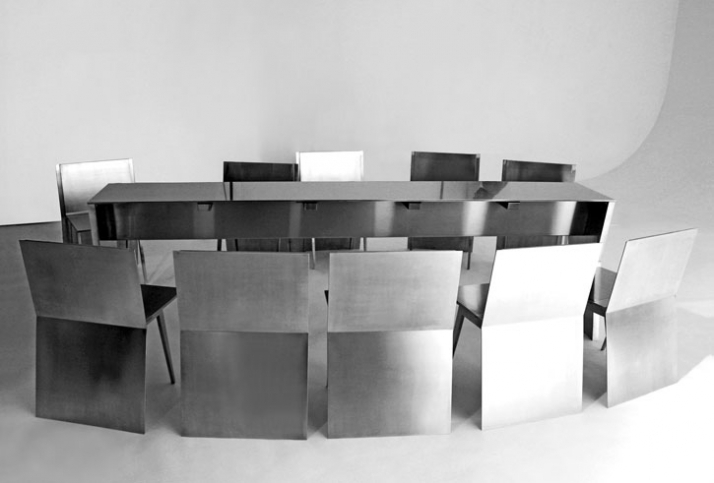 The chairs are fitted with hinges - folding up for fitting into the table, folding down for sitting. 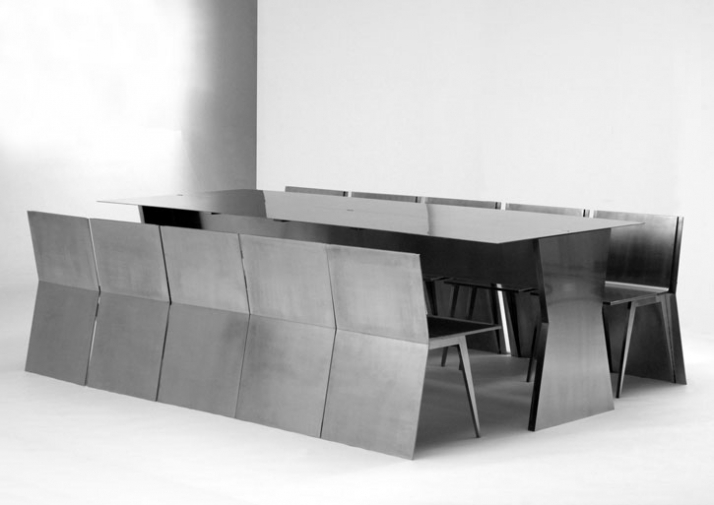 The monolith is a quintessential example of the cross-over from art - design - function. 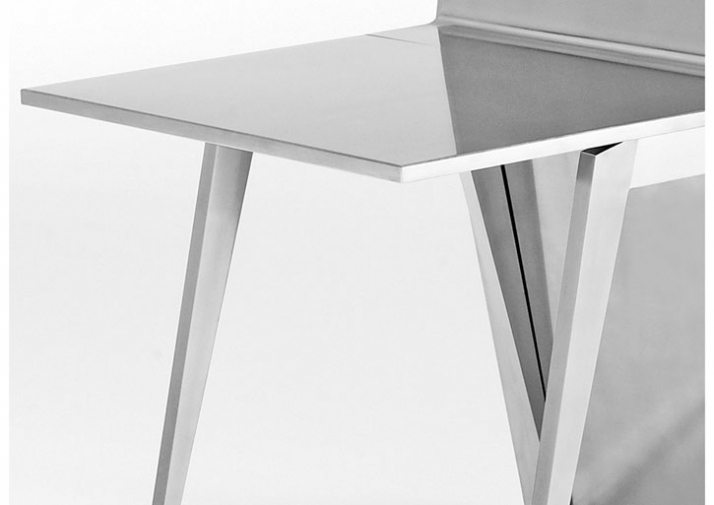 The monolith was made for a private collector in Paris, where it is now placed. Gioia Meller Marcovicz, born in Germany, lives and works in London and Venice. Following an extensive period in the fashion world took an MA in furniture design at the Royal College of Art. 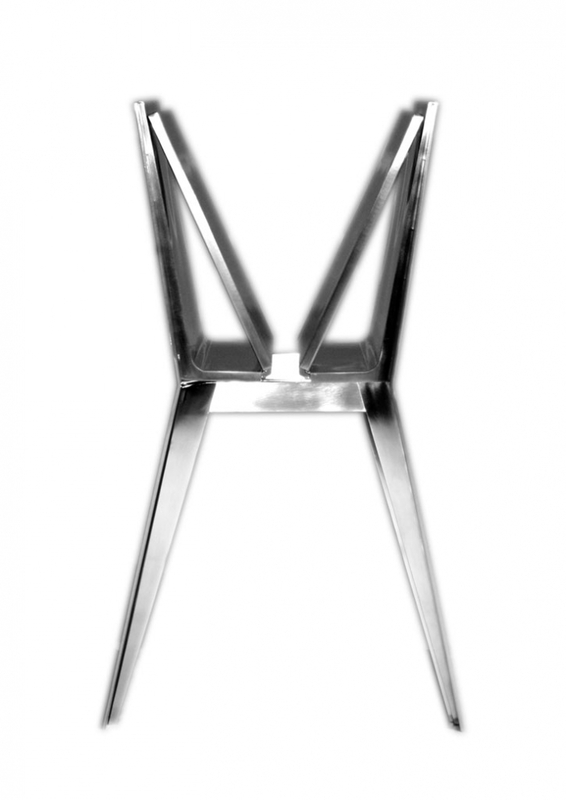 Since 1993 gioia ltd designs limited editions for galleries and products for international manufacturing companies. 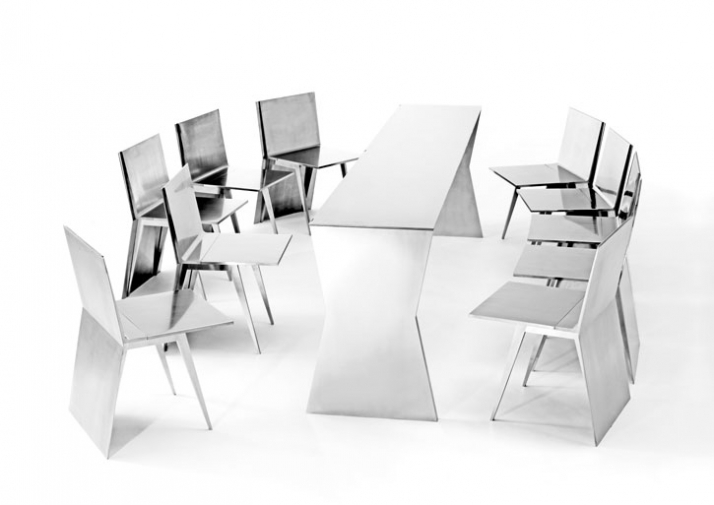 Gioia has won several awards in the UK and Germany.